Today, I am here to showcase an awesome embellishment made by Khyati! She has made them with Craft moulds and Clay and I painted them over with some pearlescent acrylic paint. I also added some white dimensional faux enamel as an accent. 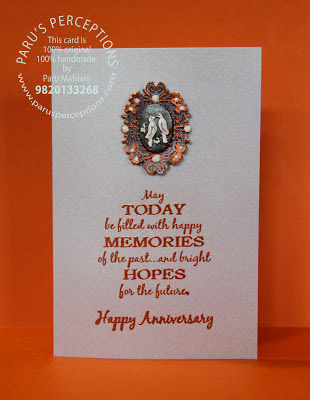 The sentiment is heat embossed in a matching metallic embossing powder. Do look for more of these embellishments at the Craft Adda store!